The Kiddy Phoenixfix Pro 2 is an all round excellent car seat with outstanding safety protection for children between 9 months and 4 years old. 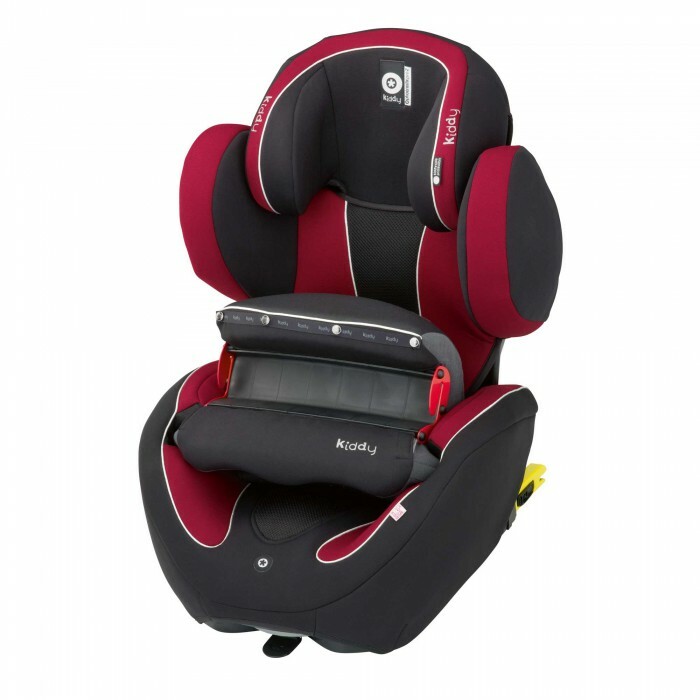 The Kiddy Original Impact Shield allows a child to be quickly and easily fitted into the seat. The simple fitting process prevents mistakes in fitting being made, thus leading to the child being optimally protected in the event of an impact. In 2013 the Phoenixfix Pro 2 was the first ever recipient of the top rating, ‘Outstanding’ in the 47-year history of the Touring Club Switzerland’s child car seat test. The experts particularly recognised ‘safety and operation of the highest level’ with the rating of ‘5 stars’. ‘Auto Motor und Sport’ have proclaimed the Phoenixfix Pro 2 a test winner for 2015. They awarded the Phoenixfix Pro 2 a “Recommended” saying it is ‘flexible, light and safe’. Which? have also tested the Phoenixfix Pro 2 and their crash test report is well worth reading. These amazing accolades makes the Phoenixfix Pro 2 the best car seat for a larger baby or/and toddler. This incredible car seat outperforms typical 5 point harness car seats and Extended Rear Facing (ERF) seats for overall all round safety performance. The Phoenixfix Pro 2 can be installed in cars with an ISOFIX system or simply with just the car seat belt. Both options have been tested at the highest safety levels. Kiddy car seats are approved for use on board aircraft. The child seat can be used upon landing in a rental car or taxi. Thus a child can travel on holiday with the same level of safety as at home.